Super Bowl LIII will not be the last you see of Tom Brady. The seemingly ageless New England Patriots pivot told ESPN's Jeff Darlington that there's "Zero" chance he will end his career after next Sunday's game against the Los Angeles Rams. A special conversation with Tom Brady. We talked about life as a 41-year-old father playing in the Super Bowl — and much more. If Brady, 41, does return for another season, it will be his 20th campaign. Only Brett Favre has played more games at quarterback than the three-time MVP. In 16 games this season, Brady threw for 4,355 yards and 29 touchdowns on 375-for-570 passing. This will be Brady's ninth Super Bowl, third in a row and second matchup with the Rams. 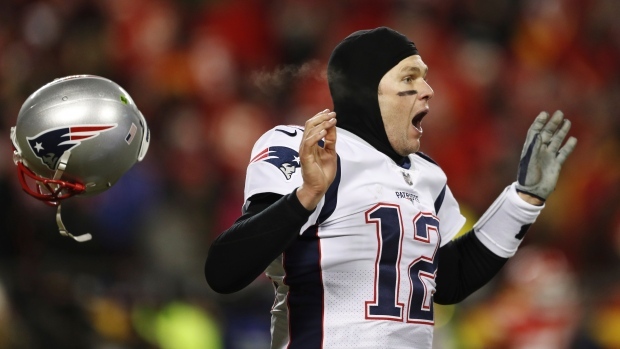 Brady's Pats are 5-3 in Super Bowls, including a 20-17 win over the Rams in Super Bowl XXXVI.